Today's JV game against Shepherd will be played at 6 pm (due to weather delay) at the Shepherd MIDDLE SCHOOL field located at 1401 S Byrd Ave, Shepherd, TX 77371, NOT the Shepherd High School field. See you there! Management & Administration; Career Development; Education & Training; Finance; Health Science; Hospitality & Tourism; Human Services; Information Technology; Law, Public Safety, Corrections & Security; Manufacturing; Marketing; and Science, Technology, Engineering & Mathematics (STEM). Admission to these programs is based on open enrollment. Coldspring-Oakhurst Consolidated Independent School District will be accepting new student registration at all campuses Aug. 8, 10, 14, 16, and 17 from 8 a.m. to 3 p.m., and Aug. 13 and 21 from 10 a.m. to 6 p.m. There will be no new student registration on the first day of school, Monday, Aug. 27. New student registration will resume during normal school hours on Tuesday, Aug. 29. 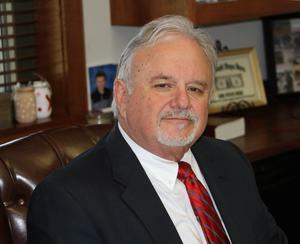 Superintendent Dr. Leland R. Moore discusses the importance of campus safety and security in the midst of increasing acts of violence at school campuses around the nation. Dr. Moor outlines the steps COCISD has taken to ensure the safety of every student and employee. 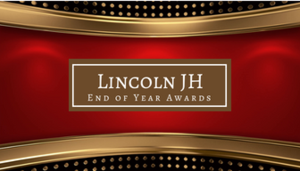 Join us in honoring our Lincoln Junior High students at the end of year awards ceremony on June 1st! 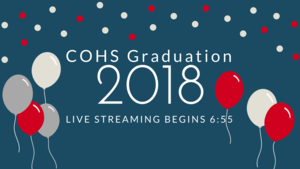 6th grade begins 7:50 a.m.
7th grade begins 8:45 a.m.
8th grade begins 10:00 a.m.
View COHS Class of 2018 Graduation Ceremony Online! Couldn't make it to graduation on Thursday night? Click to see! Volunteer with TEALS - TEALS for the 2018-19 School Year! Please click on title for more information! The Coldspring-Oakhurst Consolidated Independent School District is moving forward with Bond projects and related curriculum plans. Coldspring-Oakhurst High School was proud to host this year’s Area 6 Robotics Contest on Saturday, Jan. 13. More than 50 students from seven school districts came together to put their problem-solving and robotics abilities to the test. Student teams competed in two divisions: Intermediate (4th through 8th grade), or Advanced (9th through 12th grade). Lincoln Junior High Unveils "Parent University"
LJH has unveiled a new program this year for parents and guardians called "Parent University." It's part of an effort to keep parents/guardians informed and involved in their students' education, and to recognize them for their efforts.